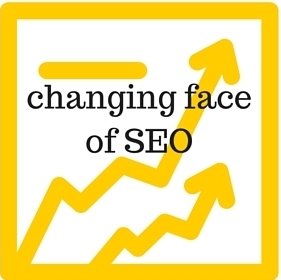 How SEO is changing: Different aspects of the changing face of SEO. There was a time when Search engine optimization was referred as the specialized know-how of manipulating the various search engine rankings using smart, secret and clever techniques. But, that was a past and today the SEO industry is more often grown up and gets matured. It is now turned into a comprehensive, dynamic and multifaceted online marketing discipline which is the key element of the success of any networking or online promotional campaign. What is the pattern of these changes? How will these influence the market and the audiences? What is the best online marketing practice to deal with these changes? And how can a marketing professional learn this? The article is mainly aimed to enlighten these furious questions. In the recent past, the perception of Search Engine Optimization has been changed in almost all terms. Today, SEO studies are not moving around page ranks, keywords and links; it is about a brand establishment, reputation building, and content strategy. Though the brand building and the development of content-oriented strategy are the familiar parts of inbound marketing, the sudden shift is actually the ways to perform these and also about analyzing the detailed impact on the business and industry. When Google introduced PENGUIN and Panda algorithms, it was a clear message to the industry experts and professionals that no manipulating tactic or low-quality content is acceptable on its search engine. So the webmasters and the marketing professional are forced to create quality content with smart optimization strategy. It is not a choice but the obligation. But there is a condition for the success of the content strategy, it should be executed by a strong brand to achieve a huge reach and response. No doubt, content strategy is the big support of the brand building. In other words, Search Engine Optimization is no more tricks and manipulation; it is now branding and content marketing. This leading search engine is still serving the task for which it was started. But at the present time, it is the most trusted name in user-facing, knowledge graph and data-oriented projects. Facilities like figuring out the searcher’s choice, their preferences, current online trends are the additional attraction here. It also helps in getting the quick information and can anticipate the next probable question also. Amazing, isn’t it? 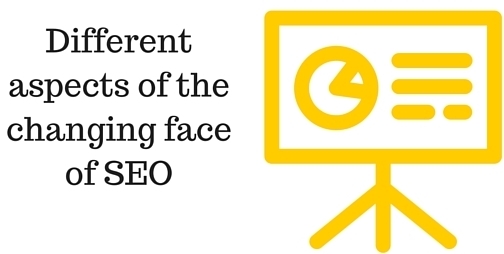 The face of search queries has also changed; they are more location-based now. Users are searching “best yoga gym in NYC”, “vegetarian restaurants in Brookline”, “designer kids wear in California” and much like this. The availability information, price range, and the customers’ reviews, all these detailed searches are done through maps. As per the popular trend, paid ads are playing a significant role in ranking and at the same time, the value and visibility of information are getting more significant. Today, the ranking algorithms are widely affected by the quantity and the quality of the inbound links that are included in your domain and individual web page. Meanwhile, Google gives a lower algorithm weight to inbound links because of a possibility of link buying and selling in the internet marketing. It’s true that today the links are a bit irrelevant for SEO purpose, but hold an important place in any online marketing and promotional campaign. Inbound links and the link building process are vital in online marketing just because of its capability to attract a large amount of user traffic towards the site. When you have created a good quality content with a remarkable amount of interesting and educating values, many reputed sites, as well as the advertisers of the same niche, will like to link to you and you will get traffic to your web page through many sources. It is the indirect way of search engine optimization through link building. As per technology advancement and people’s increasing preference towards hi-tech gadgets, it is more obvious for the websites to convert themselves into the mobile and smartphone friendly designs. While the larger amount of the internet audience is searching their online information through their tabs and mobile devices, without a responsive web page and websites, a company will simply lose its audiences, reach and ultimately the rankings. Most of the online practice is now mobile-oriented so today, SEO also means website optimization on the mobile-friendly basis. Social sites are playing the important role in online marketing and search engine optimization as well. It is where a business can promote its specifications, qualities, and other notifications. It is a link building platform and supports the webmaster’s efforts to improve rankings. Through creating a Google+ account and generating a remarkable amount of traffic here, the Google rankings can be easily influenced. Also, the Facebook, Twitter, Instagram and many other well-known websites are presenting a great option for business promotion and delivering your brand awareness to many active online communities. No matter how effective your online marketing is you cannot sell a bad product for a long time. Each aspect of today’s inbound marketing campaign should be treated as a product. The content is the main product that includes many items such as blog post, e-book, video, infographic or an email newsletter. The value of process (the campaign) is always greater than a product (the content), but if the philosophy is reversed, the result will be more effective and long-lasting. Creating a good marketing campaign is an ideal practice, but if you have focused on creating the best product, you can enjoy the most desired outcomes. In the end, we have reached the conclusion that indicates that it is very difficult to get the top position on the SERPs. It can be gained through patiently and systematically adaptation of an SEO process while the main concentration is not on the reaching the goals, but to stay in the leading position for a long time. The marketers and the webmasters have understood the importance of crafting a sound optimization strategy that is based on quality content instead of spammy content and manipulating tricks.